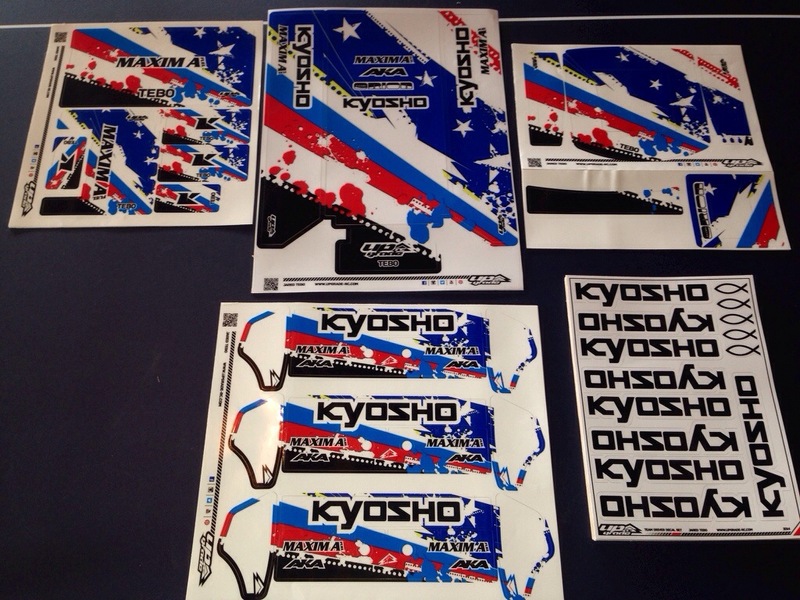 Yesterday I got all my new stickers from Upgrade-RC. They did a great job and everything looks awesome. I am a difficult guy, I’m always changing my designs. I really like the 2014 design though, it’s a slightly modified version of their RetroActive design. If you want to look like a pro at the track, check out Upgrade-RC.com They have everything you could want and more. Check back later to see everything stickered up and ready to rock. See you all the track soon. Thanks for reading and God Bless. What sizes do you normally get for your stickers? im trying to get better sizes for my associate sponsors but never know how small to go.